I have been using this little brown bottle a couple of years now and I am addicted. This Multi Award Winning repair serum is inspired by DNA research and works to help restore and repair your skin, it is a great anti irritant (which is one of the top reasons I started using it) making it perfect for more sensitive skin too. 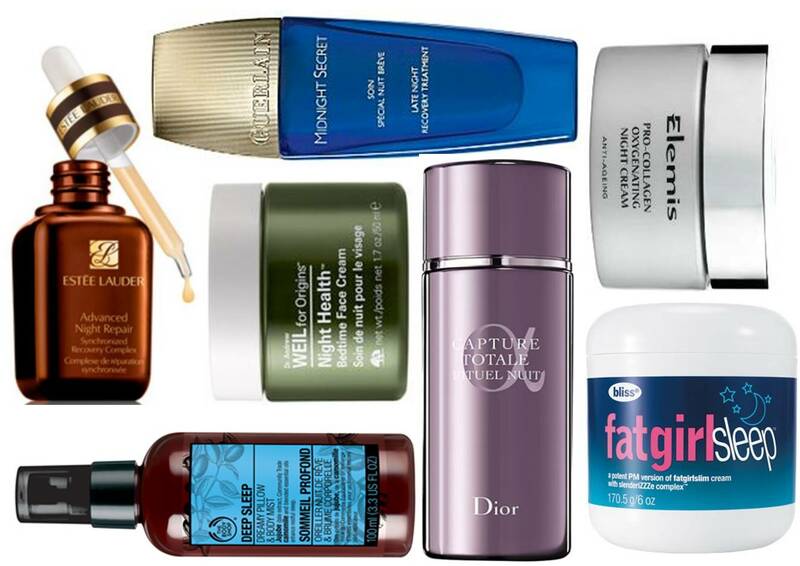 Best used every night to repair past damage, protect and hydrate skin. Oxygen for your skin? Yes we don’t just need to breathe it we need it to help our skin glow and aid regeneration. This fab cream also speeds up night time skin recovery to counter the effect of sleep debt and daytime stress, its a true multi tasker as it also helps to plump the skins natural collagen for younger looking skin too – perfect! This is a little gem of a product, put simply it’s a face peel you can sleep in to gently renew your skin, it brings a whole new meaning to beauty sleep. Its no rinse formula makes it super easy and you can apply your usual night cream on top! I’ve never been a big advocate of the Dr Andrew Weil for Origins range purely as I wasn’t taken by the aroma of the first collections – however I like to think of this as a hidden gem because as you drift off to sleep, this magic cream with St Paul’s Wort simply eases away tense skin and visible lines. It really seems to clear your dead skin cells plus, one of my favoutite things about it is that it’s filled with 100% natural camomile & lavender oils to relax your mind and body for a great night sleep too! Night time skincare is not just for your face – Fat girl sleep from the spa guru’s Bliss creates a sleep-friendly environment with lavender whilst sacred lotus flower gets to work on the four causes of cellulite: fat storage, fat burning, water retention and slackened skin. Anything that blasts cellulite while I sleep gets my vote! This is my little secret wonder spritz, this is a heady aromatic mix of Jujube date extract, camomile and essential oils – literally 1 spray on your pillow or Pj’s and your eyes get heavy – it’s brilliant for when you fall out of a sleep pattern or find yourself unable to sleep easily. Keep it by your bed for easy spray and sleep! Don’t be tempted to use more than 1 spray its potent stuff and 1 spray is really all it takes! After all that replenishing sleep wake up your skin with Clarins Super restorative Wake Up Lotion – the skincare step for beautiful skin even first thing in the morning. It eliminates puffiness and sleep marks, no need to wash off just apply to a clean face and follow with your usual moisturiser and make up! 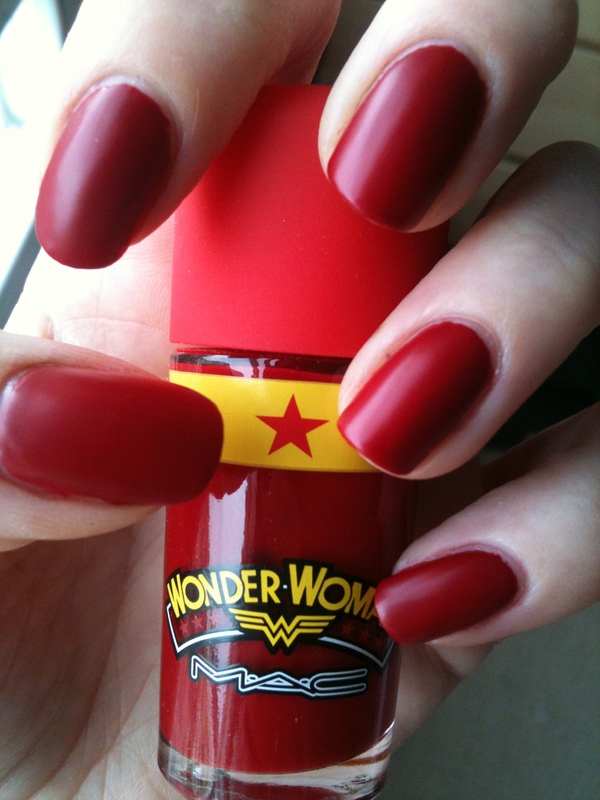 This past month I have been very excited at being able to buy MAC products online from @debenhamsbeauty and as a big Superman fan MAC’s latest lust-have collection Wonder Woman had been the talk of the office for months… so when March 3rd FINALLY arrived I clicked, bought and eagerly awaited the arrival of my beauty bounty. 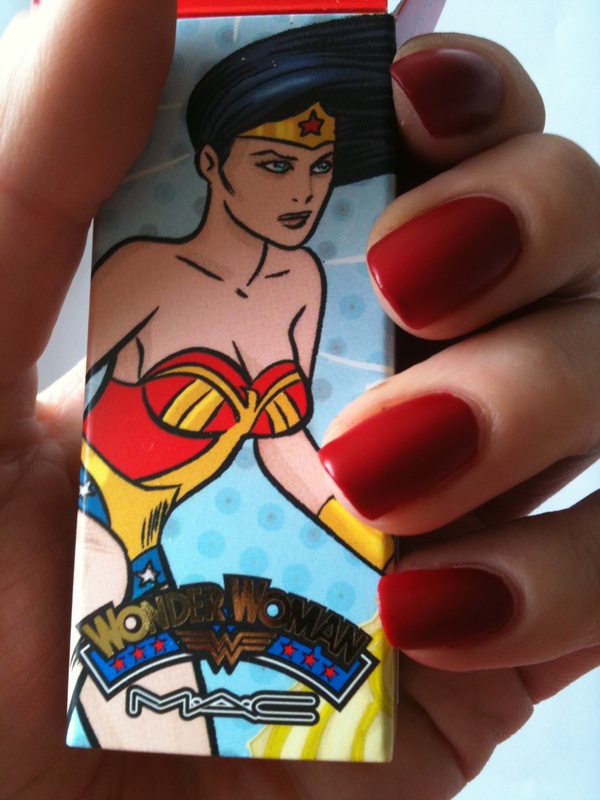 I wasn’t disappointed – my superhero stash arrived last week and so with a *happy smile* set about painting my nails with MAC Obey Me from the Wonder Woman Collection. The Colour was a fantastic vibrant American Superhero red and all in the first coat, this was proving to be a match made in Marvel heaven. The finish is nice and glossy but I wanted to give it a little edge so I applied @NailsInc Westminster Bridge Matte top coat, this was my first time using a matte effect varnish and I have to say the jury is still out on a final decision. The application is super simple and with the fat brush only takes one or two strokes to cover the nail leaving a pro effect. However the Matte effect does seem to really dull down the colour – which after going for the Superhero Red look was a bit disappointing. I do find (and hopefully I’m not alone in this respect) that painting your nails red can cause a nightmare if you don’t quite manage to colour within the lines so to speak – for this I have a handy little tip… Pour out a small amount of Nail Varnish Remover into the cap of the remover, then using an old lip brush wet it with the remover and use the brush to tidy up around your nail, dip the brush back into the remover and ta-da pro perfect nails! Check out the finished look and why not cast your vote – Do we love Matte?